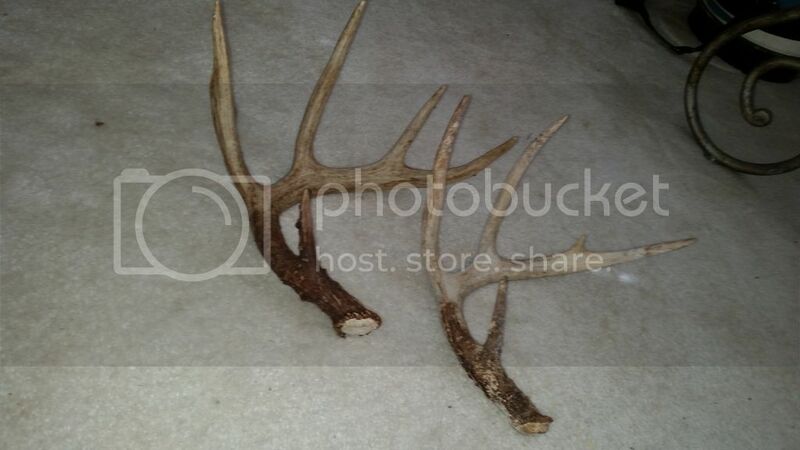 Kinda found these in crazy order but I found the 10 point shed that I've been watching from his 2014 rack. I actually found his 2015 left side right after he dropped it last year, can't believe his 2014 left side was in this good of shape. Of course he was bigger this past year, maybe I'll find his 2016 horn soon. Pretty good growth from 2014-2915 for a Ga buck ! Nice find. The boys down here are still holding. Going looking in a few. Yeah he was in the low 140's this past year. Think he was 5 this year and going to be 6 or older? Cool stuff and a great buck! Yeah, it's usually the other way around in the finding order. LOL! That's kool! Hope you kill him this season! All bucks around here still have antlers. Ol one eye lost both of his between 1/26-1/30. As of 2/4 most of the rest still holding. Try not to gut shoot this one. And find a good taxidermist that can save the velvet.